I do a lot of baking in the fall, as I am sure most of you do as well. Warm bread, biscuits and rolls fresh out of the oven are just irresistible when the weather starts to get chilly. I always have to add a little spread to my breads, but right now I am trying to cut out the unhealthy spreads like butter and margarine. I'm in the process of trying to lose a little weight and get a little more fit, since I know the next 3 months are going to wreak havoc on my body with all the holiday goodies that will surely pass in front of my eyes, then go straight to my belly. 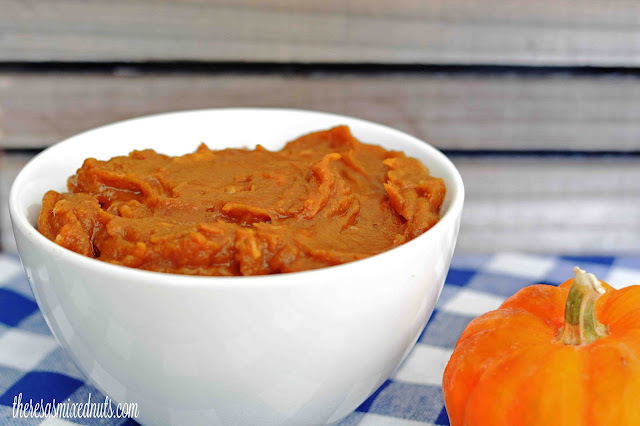 I shared an apple butter recipe from Golden Blossom Honey a few weeks back, but I came across a Spiced Pumpkin Pecan Butter on their recipe page and the name alone made my mouth water. I've never heard of pumpkin butter before, but I couldn't wait to try it! If you like pumpkin pie, you are going to love this spread! It goes perfect with toast, muffins, bread, pancakes, or straight off the spoon. I think it would make a perfect addition to your Thanksgiving dinner table too, and it's a much healthier spread over traditional butter or margarine! It has lovely colour for sure! And the photo is so well done, dear! Actually, pumpkins aren't readily available where I shop year round, so the cans make it possible to still enjoy pumpkin whenever we want. Plus, I'm just lazy sometimes and enjoy the convenience lol. OMG are you serious - this is just plain AWESOME. I am so making this over the weekend. Now this would be a lot of fun to try with some difference recipes. It sounds delicious with that touch of honey. How good this must be. I like stuff like this more than my boys. I could gobble it up! That sounds amazing! I need to try this because I think my husband will love it. I can just imagine how delicious this butter is. I would spread it on everything. 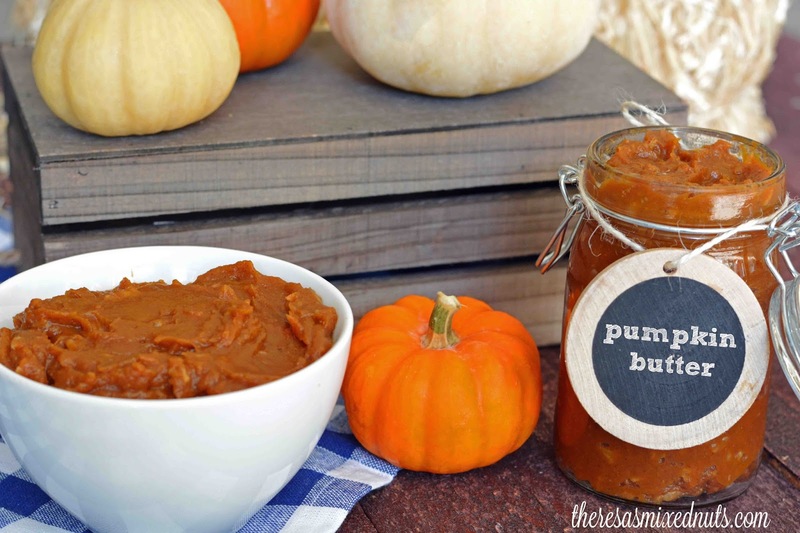 The pumpkin butter looks so delicious. I want to try this. This sounds so good and perfect for the season. I think I may have all the ingredients to make this my pantry and in the fridge. The honey looks yummy! This looks so delicious and easy to make. I will have to try making some this weekend. I love making Pumpkin bread. This looks so delicious i can think of a ton of ways to use it. Pumpkin is one of my favorite ingredients to cook with. Pumpkin cheesecake is my favorite recipe. I would never think to make pumpkin pecan butter. It sounds so yummy. Our favorite is pumpkin cheesecake. I am going to try making this next week. I just bought a can of pumpkin and I was looking for something to do with it. Anything pumpkin at this time definitely gets my ok. This looks super delicious! Oh my I've never heard of pumpkin butter before too but it DOES sound yummy!! I wish I could pop by and try some now too! This looks soooo good. Being a big fan of pumpkin pie I am sure that this could be dangerous in my fridge but I think I will pin it anyways!